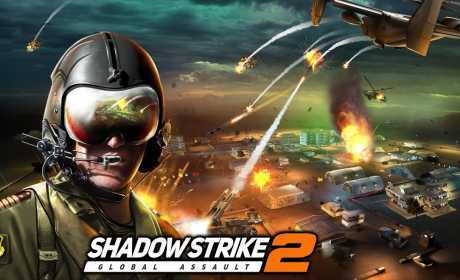 Shadow Strike 2®: Global Assault puts you in command of specialized aerial warfare gunships with 120 action-packed missions and campaigns for you to take on. Battle across the world, take command of Hi-Tech aerial assault vehicles and establish PVP supremacy from your strike carrier Damocles. 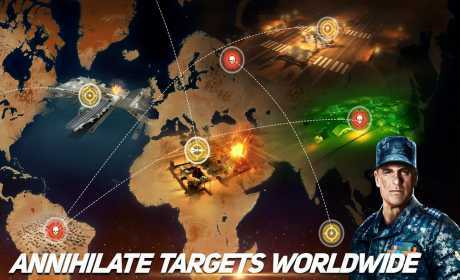 Perform lethal strikes, defend allies and destroy targets globally to restore World Peace. Disrupt the enemy control, provide close Air Support and raid Enemy Bases worldwide before they take you out. Strategize in Annihilate, Defend, Hunt and Precision Strike missions. Engage with 50 types of authentic attack units – gunships, snipers, armoured cars, tanks and attack helicopters. Adapt to changing terrain, sandstorms & fog using multiple vision modes – FLIR and Night Vision. 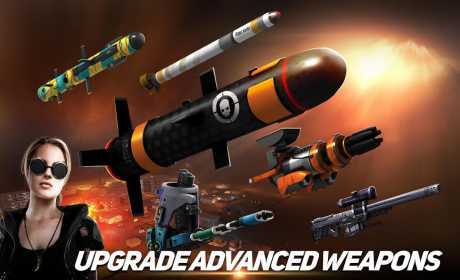 Equip your vehicles with devastating Cannons, Guided Missiles, Rockets, Machine Guns, AMRs & Bombs to bring the rain. Strategize your attacks with Light Altitude Vehicles (LAVs) for precision targeting and High Altitude Vehicles (HAVs) for greater area damage. Destroy opponent carriers to collect Intel & Steal resources. Defend yourself by building your Strike Fleet of Destroyers and Shield ships with advanced weaponry.